Did you ever have a bean bag in your classrooms growing up? Were you always begging your parents to buy you one for your birthday? Bean bags seem like the coolest thing ever when you’re young, and they don’t lose any of their pizzaz as you get older. These are perfect for placing in the living room, for using as alternative seating at your office, and even as part of your bedroom design! If you’re in the process of redoing your bedroom or you’re just looking for the final touch to make it feel like home, consider buying a bean bag for it. Get two or three! The following is a simple bedroom beanbag design guide to help you set everything up. Putting one bean bag in the corner of your room kind of makes it stand out. Buying two or three bean bags to design a small bedroom seating area with, though, transforms that area of the room. Setting up a cluster of bean bags creates a welcoming, easy-going feel. It makes it easy to kick back and relax after a long day and to entertain guests, too. You don’t need to fill your room with a whole bunch of bean bags. Just a few beautiful, well-made seats of this kind are sure to do the trick. It’s one thing to understand how many bean bags you need and another to figure out the ideal place for them. Don’t be afraid to move around the furniture in your bedroom to make room for the bean bags. Play with the thought of changing where your bed faces and how your desk and bookshelf are set up. Consider swapping out your old reading chair for two brand-new bean bags. Maybe even consider getting rid of certain pieces altogether. Moving the desk into the living room, for example, helps create a separation between work and relaxation. It’s a classic home design trick that does wonders for the way you react to your environment. Not to mention, it creates more room for your bean bags to take centre stage and create a focus on letting go after a long day. Another vital design detail to consider is the colour. The last thing you want is to move your entire bedroom around only to order the wrong coloured bean bags and throw everything off. There should be a sense of consistency in the room that flows together. You want it to have a bright colour theme, but not one that is boring. It’s good to experiment with sharp contrasts and different tones, and it’s easy to do this by picking up different colour swatches and placing them all over the room. This way, you get a feel for what works and what doesn’t without having to go to considerable lengths to do so. Don’t forget to notice the ways different colours play tricks on the eyes, though. Certain colours can open up a room; they make the room look larger than it actually is and as a result, more welcoming. The wrong colour combination can do the opposite; it makes the room feel like there’s something wrong as if the area isn’t being used to its best potential. Just when you think you’ve found the ideal bean bag design with the perfect colour, consider the size and the material it’s made of. If you have a wooden bed frame and all-wood furniture, soft fabric bean bags are the best choice. They blend well with the other elements in the room and complement them, too. But, bedrooms with a more metallic design to them – like brass nightstands and iron bed frames – might look better with a leather bean bag. These rules aren’t the be all and end all. There are many ways to make different materials work together, which is why it’s best to consider each option before making your final decision. Pay attention to the size of the bean bags as well. You don’t want to have everything figured out to send your designer bean bags back for something smaller or larger. Remember, you’re setting up more than one in your space, so you need to make sure they all look right. The final thing to consider when purchasing bean bags for your bedroom is the maintenance requirements. It’s no fun to have bean bags in your room if you’re always cleaning them and changing the cover. Take a look at how long they last and what kind of cleaning they need before you commit. This way, you’re able to get out of keeping up with a high-maintenance piece of furniture before you even bring it home! Sometimes, it’s better to sacrifice a bit of aesthetics for a piece of furniture that is more functional. Or, you could keep looking and find a beautiful bean bag that barely requires any upkeep. Maybe you already have the perfect spot in your room picked out for your new bean bags. Perhaps the theme and colour coordination are apparent in your mind, and now you need the right pieces to bring all the aspects of your bedroom together. Wherever you are in the design process, seriously consider buying a few bean bags. They can transform your space and do so much for your level of relaxation and comfort, too. 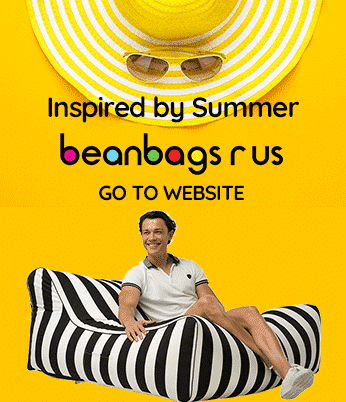 Click here to start shopping for the ideal bedroom bean bags for you! This entry was posted in Designer Bean Bags.